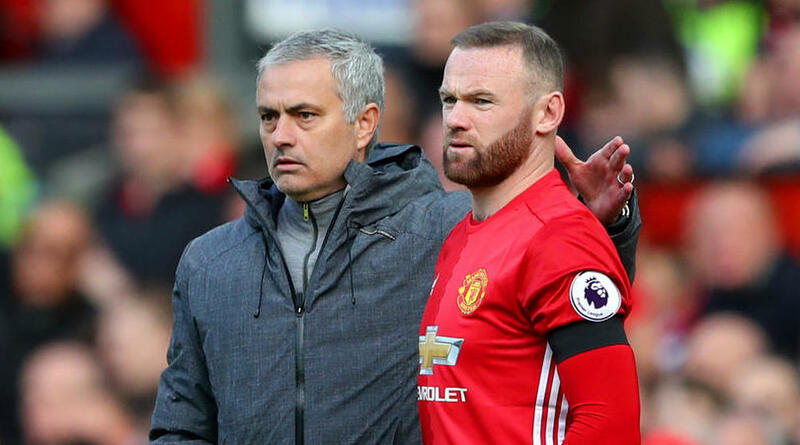 Wayne Rooney has challenged Manchester United’s stars to improve their performances as he feels manager Jose Mourinho is simply an ‘easy target’ for criticism. A spirited comeback saw United come from 2-0 down to beat Newcastle United 3-2 on Saturday, a result that has reduced some of the pressure on their under-fire manager. Reports continue to circulate around Mourinho’s future, though, with former Real Madrid boss Zinedine Zidane tipped to replace him if there is no consistent improvement in results. Former club captain Rooney says the mood around the club reminds him of Louis van Gaal’s difficult final few months at Old Trafford, and he wants the players to start performing for their boss. ‘It’s tough [at United], it has been a tough situation,’ the DC United forward said. ‘The players, the manager, it has been a tough start to the season. ‘I know Jose is getting a load of stick, but I said a few weeks ago the players have to stand up. They have to be counted and they have to be better. The manager can do so much but then it is down to the players on the pitch to produce and probably collectively. ‘It [the poor run of form] is a bit of everything coming together but Jose is an easy target. Some of the players have to be better. ‘I said the same thing when Louis van Gaal was there. He took a lot of stick but behind closed doors, I said to the players, “We have to be doing better”. Personally, I think he [Van Gaal] set us up brilliantly but we didn’t produce on the pitch, so I am sure that is getting said behind the scenes. Rooney spent 13 years at United, in which he became the club’s all-time top goalscorer and won 12 major trophies, including the Champions League in 2008.